It's prerelease weekend for Ravnica Allegiance, and the new set is looking pretty awesome. 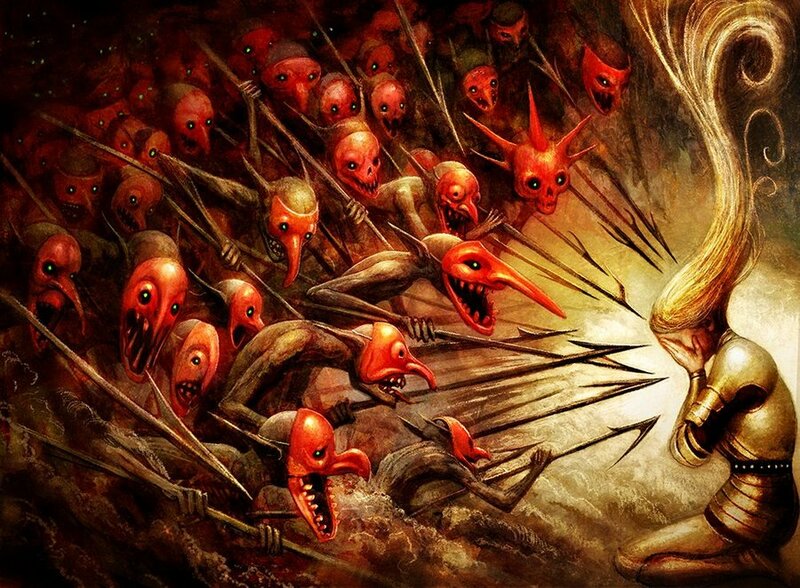 Guilds of Ravnica was extremely powerful, and Ravnica Allegiance looks to be following suit, to make sure the rest of the 10 guilds are playable in Standard. While we'll spend a ton of time talking about decks, cards, and gameplay in general over the coming weeks, today is about something else: money. If you pick up a box of Ravnica Allegiance from your local game store (or online), how much value in cards should you expect to open? Figuring out the expected value of the set is our mission for today, so let's find out! Like usual, one important warning before digging into the numbers: there are a lot of reasons why people buy booster boxes. For some people, it's tradition; for others, they enjoy the lottery-like thrill of hoping to open a high-value foil mythic. Others pick up boxes to grow their collection (although this is usually an inefficient way of going about it) or to draft with their friends. All of these, and many more, are fine reasons to purchase a booster box, even a low-EV booster box. 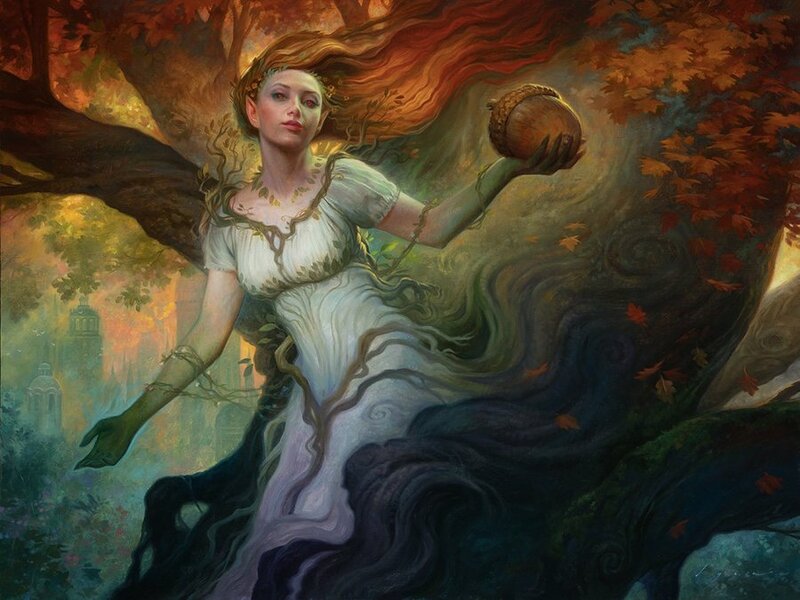 When it comes right down to it, Magic is a game—there is value in having fun, and EV calculation can't take into account this non-monetary value. So, don't let this EV calculation be the only factor in your decision of whether to buy a box. At this point, most of you probably know how this works, but for those of you who don't, here's a quick breakdown. Expected value basically refers to the amount of value (in US dollars) you can expect to open from a booster box, on average. We calculate the odds of opening each individual card in a box (which are the multipliers you'll see throughout the article), which in turn allows us to calculate how much value the potential of opening each card adds to a booster box. Then, we add everything together, which gives us the total expected value for the box. Of course, since we are working with averages, no individual box is guaranteed to hit the expected value number—you could run well and get more value or run poorly and get less—but the number should be pretty accurate over the course of hundreds or thousands of boxes. 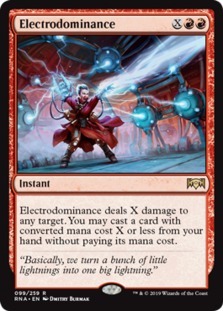 Most EV calculations use retail sell prices—things like TCGplayer mid or the prices that vendors like StarCityGames or ChannelFireball ask for a card. But unfortunately, these numbers do not mean much to me for a couple of reasons: First, I (and most of you) can't get StarCityGames or TCGplayer mid prices when I sell my cards (wouldn't that be nice?). Instead, we get things like eBay minus fees and shipping or buylist prices. As such, in calculating the value of the cards in the set, I'm trying to use the number that I realistically think I can get for the card tomorrow (this is important because new sets tend to decrease in value quickly). For this, I mostly use the TCG market price (minus 15% for fees and shipping), which is basically the price of completed listings on the TCG Marketplace and shows the actual prices that cards have sold for, and not just what people are asking for their cards. This is why the prices listed in the charts in this article are lower than the MTGGoldfish price: I'm making deductions that take into account the "hidden" costs of selling the cards. Of course, not everyone is interested in selling cards, so we'll also talk about the expected value without taking into account fees and shipping, although here, it's worth mentioning once again that if your goal is to build a Standard collection, it's usually smarter (from a financial perspective) to wait a month or two for prices to decrease as supply enters the market and then just purchase singles rather than buying a box. While opening booster boxes is a ton of fun and sealed product is essentially for drafting, if your goal is to put together a specific Standard deck or simply grow your collection, there is much less variance if you simply buy the individual cards you need rather than hoping to beat the odds and open them from a booster box. Timing is everything when it comes to making a profit by opening boxes, as prices drop quickly once a new set starts being opened. A set can go from positive EV to negative EV in less than a week, sometimes even overnight. Basically, by opening boxes on release day (or release weekend), we can take advantage of the excitement for the new cards (new demand) and the fact that the freshly opened cards haven't had time to reach the market yet (lack of supply). Commons (except in very rare cases) are considered to be bulk, which I value at $5.00 per thousand. This means that an entire booster box worth of commons adds $1.80 to the expected value of the box. Most uncommons are also worthless for the purposes of calculating EV, since they cannot be reliably sold as singles or traded away for any meaningful amount of value. Apart from a handful of "chase" and "semi-chase" uncommons, everything else at this rarity goes into the bulk pile along with the commons. Foils get their own section, but it's important to remember that there is a ton of variance in opening valuable foils. 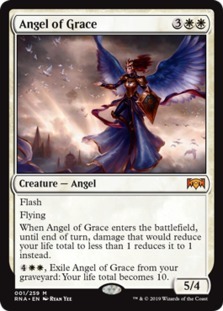 The odds of opening a foil Angel of Grace are somewhere around 1 in 3,500 packs; however, every box should contain some number of foils (typically a handful of commons, a couple of uncommons, and one-ish rare), and these lower-rarity foils do represent some amount of guaranteed value. These prices won't be good for long. Remember: the idea is to determine if Ravnica Allegiance is worth opening on release weekend (which happens to kick off next Friday, although you can pick up boxes this weekend from your local game store). If you buy a box six weeks from now, don't blame me when these prices are wrong because I can tell you right now that they will be wrong—and likely very wrong. Remember that the EV is a snapshot based on current prices and not a prediction of where prices will be in the future. Another reminder: you don't actually make a profit until you sell the card. So, just cracking boxes on release weekend isn't enough; you need to take the next step and actually trade away the cards, list them on eBay / TCGplayer, or sell them to a buylist. Prices were calculated on Friday. If something spiked in the last couple of days it won't be reflected in the expected value calculation. Finally, be aware of variance. These numbers will be accurate if you open enough packs. But, like most aspects of Magic, variance can have a huge impact in small samples. In theory (although not in practice), a booster box could contain zero mythics and all bulk rares, or it could contain a complete set of foil mythics. The more packs you crack, the more accurate the EV will become because you will smooth out these outliers. 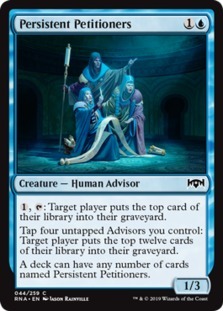 Ravnica Allegiance, like Guilds of Ravnica before it, is a pretty straightforward set for calculating expect value, with the normal 15 mythics and 53 rares, and nothing to complicate matters like flip cards or additional rarities. This being said, if you pick up a box early at your local game store, you will also get the Buy-a-Box promo The Haunt of Hightower, which is currently selling for around $10 on eBay. This is similar to what Impervious Greatwurm was on prerelease weekend, but the Guilds of Ravnica promo is now down to about $5, so if you happen to get a copy of The Haunt of Hightower and don't plan on using it, it's probably best to sell or trade it away as quickly as possible for max value. 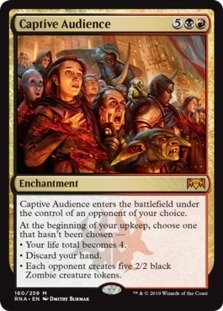 The mythics of Ravnica Allegiance are surprisingly solid for a set with a good rare land cycle in the shock lands, with the average value coming in at $7.24, a 25% increase over Guilds of Ravnica, which had an average mythic value of just under $5.50. More importantly, the value is consistent. There isn't one chase mythic driving up the average (which makes opening boxes risky, since your odds of opening the single best mythic in a set in one box aren't great). Instead, a full third of the mythics are worth more than $10, a third come in between $5 and $10, and the bottom third are mostly in the $3 to $4 range (which is still roughly the price of the pack), with the one "bad" mythic being Captive Audience, which many people have called out as their favorite mythic in the set. 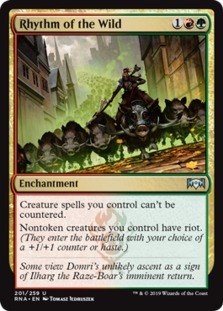 All in all, this puts Ravnica Allegiance off to a solid start in terms of expected value, and no matter what mythic you happen to open in your pack (outside of maybe Captive Audience), you'll at least get your money's worth. Back when we were calculating the expected value for Guilds of Ravnica, our conclusion was that the value of the rares was off the charts (the highest since Khans of Tarkir), with an average value of $1.73. This was in large part thanks to Assassin's Trophy being extremely expensive for a rare, along with having five high-value shock lands. 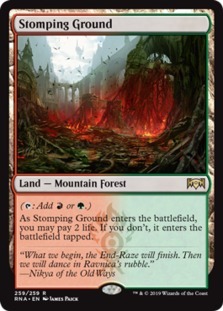 While I was hopeful that the value of the rares from Ravnica Allegiance would be reasonable, since there isn't an Assassin's Trophy-type rare in the set (with the highest-value rares being the shock lands and Electrodominance, at just under $7), my expectation was that Ravnica Allegiance would fall back a bit from the high of Guilds of Ravnica. Thanks to an incredible amount of consistency in the $2–6 price range and a lower-than-normal bulk-rare rate, the rare slot in Ravnica Allegiance actually increased 10% compared to Guilds of Ravnica, giving us an absurdly high average value of $1.91. 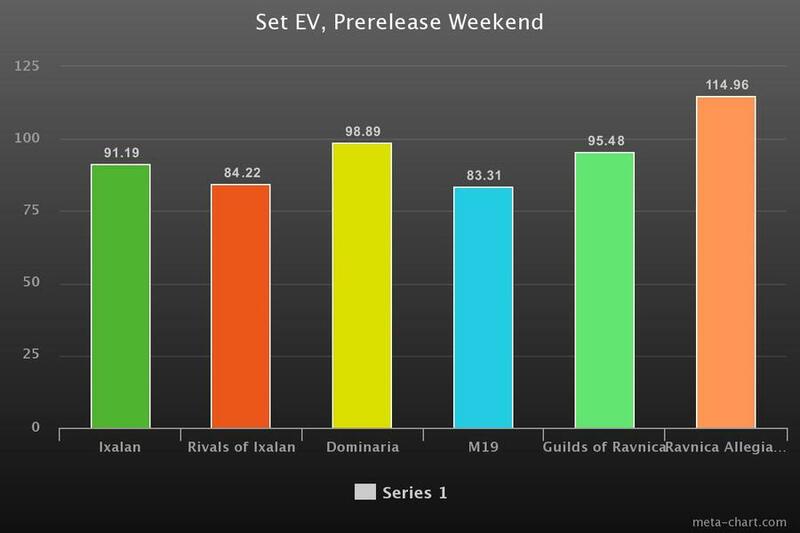 To put this in context, most sets have an average rare value of around $1.10 on prerelease weekend, and we've had several sets where the average rare wasn't even worth $1. Of course, this comes with a bit of an asterisk: as people figure out which rares are playable and which aren't, the average rare value is likely to fall hard. A lot of cards that are currently $2 or $3 will trend toward bulk if they don't see play in Standard. This being said, using the same methodology that we used back during last prerelease weekend (discounting cards by 15%), the average rare value from Guilds of Ravnica is still over $1.50, so perhaps the drop won't be that big, thanks to the shock lands maintaining their value. Still, there are a lot of rares from Ravnica Allegiance that I'd want to sell or trade as quickly as possible for $2 or $3, rather than wait and see them drop to $0.50 or less. All in all, the epic rares from Ravnica Allegiance mean the slot adds a massive $60.69 to the set, which is incredibly high. 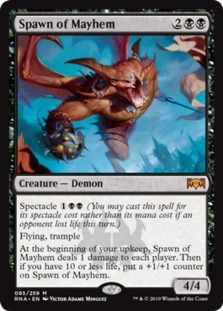 Furthermore, much like the mythics, the value is consistent and spread throughout a whole bunch of cards, rather than being concentrated in one or two high-value chase rares. This should help to reduce the variance in opening boxes, since most of the cards are replaceable (similar to Modern Burn, where no card is particularly powerful but every card is consistently good). Based on the value of the rares and mythics, it should be hard to open a truly bad pack of Ravnica Allegiance, since so many cards are roughly the same value. While Ravnica Allegiance doesn't have any high-end uncommons in the style of Fatal Push, the total value of the lower-rarity slots is solid, at just under $9, thanks mostly to Persistent Petitioners. Having a common that's worth almost a dollar adds a reasonable amount of value to a box, since you'll open between three and four copies in each box. Otherwise, there are a handful of cheap, potentially Modern-playable uncommons that are worth pulling out from your bulk as you open your box, but they don't really shift the expected-value math to a huge extent. Finally, the foils from Ravnica Allegiance are worth almost exactly the same as they were for Guilds of Ravnica, adding just under $13 to the value of a box. While most of the foil mythics have value thanks to scarcity alone, there are a handful of good uncommons worth keeping an eye out for, including cards like Wilderness Reclamation, Pteramander, Rhythm of the Wild, and Light up the Stage, all of which are worth $5 or more. Oh yeah, and if you're looking to foil our your Persistent Petitioners deck, it's going to cost you: foils are currently selling for close to $7, which really adds up if you need 20 or even 30 copies for your deck. All in all, the expect value of Ravnica Allegiance is surprisingly high: even taking into account our 15% discount, the average box will yield about $115 in value, which is roughly $20 more than the current box price of around $95. This is basically the floor EV (for today—price will change in the future). If you drop the 15% discount (on the assumption that you're keeping all of the cards rather than trading or selling them away), the EV jumps to $132.20. If you manage to snag a box early and get a copy of Buy-a-Box promo The Haunt of High Tower, you can add another $10 on top of everything else. So what does this mean, moving forward? A couple of important things. First, if you can pick up a box of Ravnica Allegiance and sell or trade away the cards quickly, there's actually a decent chance you can make a profit. When you combine the high EV with the fact that the expected value isn't driven by a few chase cards and is instead the result of consistent value throughout the rare and mythic slots (which reduces variance and the chances of getting a bad box), there's a good chance that—at current prices—you can crack a single box and end up with more value in cards than you paid for the sealed box. Second, and more importantly for the long term, this means that prices of Ravnica Allegiance cards are going to drop quite a bit over the next couple of weeks and months. Because the set is starting with a higher expected value than other recent sets and because, when all is said and done, the expected values of in-print Standard-legal sets all end up about the same, Ravnica Allegiance has to lose more value than Guilds of Ravnica, Dominaria, or the rest of the sets in Standard. Since there aren't any ultra-chase mythics or rares in the set, my best guess is that a lot of cards that are currently in the $2–4 range will trend toward bulk. Meanwhile, of the group of five mythics current worth $10 or more, a couple will maintain their current price and maybe even increase, while the rest will lose a big chunk of value as people find out they aren't quite as good in Standard as they look on paper. As such, if you're opening a box, try to trade away or sell the cards you don't need to play with quickly because odds are that they will drop in price. Meanwhile, if you aren't opening boxes and need Ravnica Allegiance cards in Standard, your best move is to hold off for a few weeks. There's no way the set can maintain a $115+ expected value for long once people start opening the set, so the singles you need to complete your deck will most likely be cheaper in a couple of weeks or months. Anyway, that's all for today. The expected value of Ravnica Allegiance is surprisingly solid. 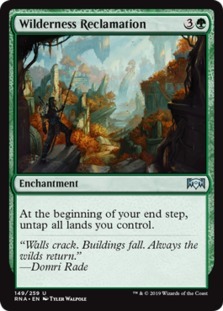 When you toss in the long-term value of shock lands thanks to Modern, it will become one of the best sets to open in a long, long time. Of course, things will change as prices will drop, but for now, the value is off the charts as far as Standard-legal sets are concerned. I'll probably pick up a box or two for myself. Cracking boxes is fun, and having a positive expected value provides an easy excuse to open some packs and hope for the best. Are you going to crack a box (or more) of Ravnica Allegiance? What do you make of these expected value numbers? Let me know in the comments! As always, leave your thoughts, ideas, opinions, and suggestions in the comments, and you can reach me on Twitter @SaffronOlive or at SaffronOlive@MTGGoldfish.com.